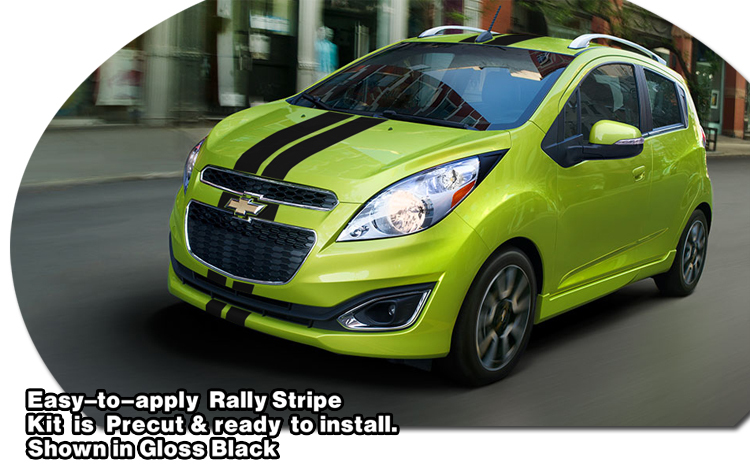 Make your 2009-2015 Chevrolet Spark unique with this set of double stripes! This easy-to-install eighteen (18) piece kit is PRECUT and ready to install in a wide variety of colors - NO TRIMMING required! This stripe package is not just a set of straight strips in a box. Our graphic kit consists of prefitted and contoured pieces that are specifically made for the 2009-2015 Chevrolet Spark and will not fit any other vehicle. Stripe is designed to be placed in the area shown and set with a 1.5" spacing down the middle.